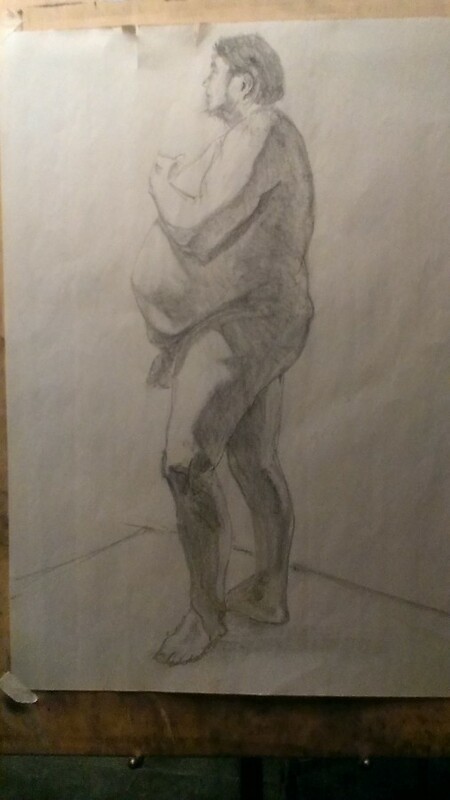 One of the greatest resources in the city of Richmond’s local art community that I have received from even since my days in high school has been the VCU Alumni Figure Drawing. Faithfully meeting on Tuesday nights “till the end of time,” as local legend Larry Robinson would say. Larry Robinson himself is a staple of the Richmond figure drawing community, as well as one of the organists at the Byrd theater, and a player of the carillon at Byrd Park tower. 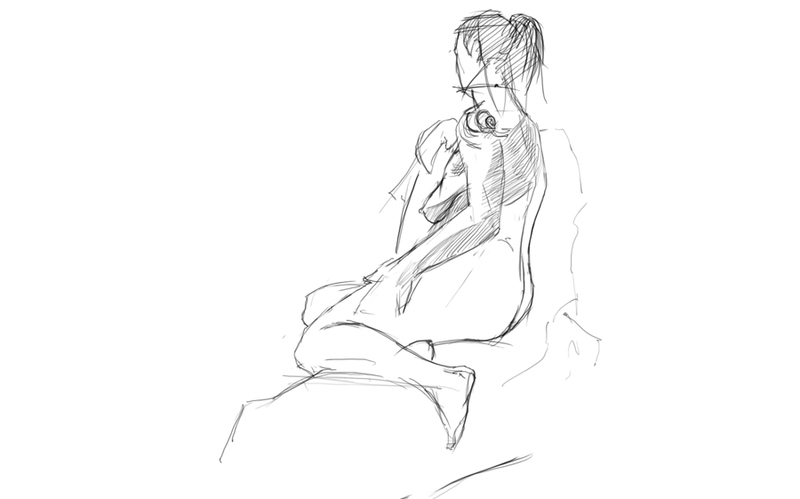 This figure drawing session helped me get into VCU’s art program, and helped me get through it as well. It has been a great pleasure to return to this drawing group to continue honing my skills. Here after I hope to continue posting weekly updates from this figure drawing session. 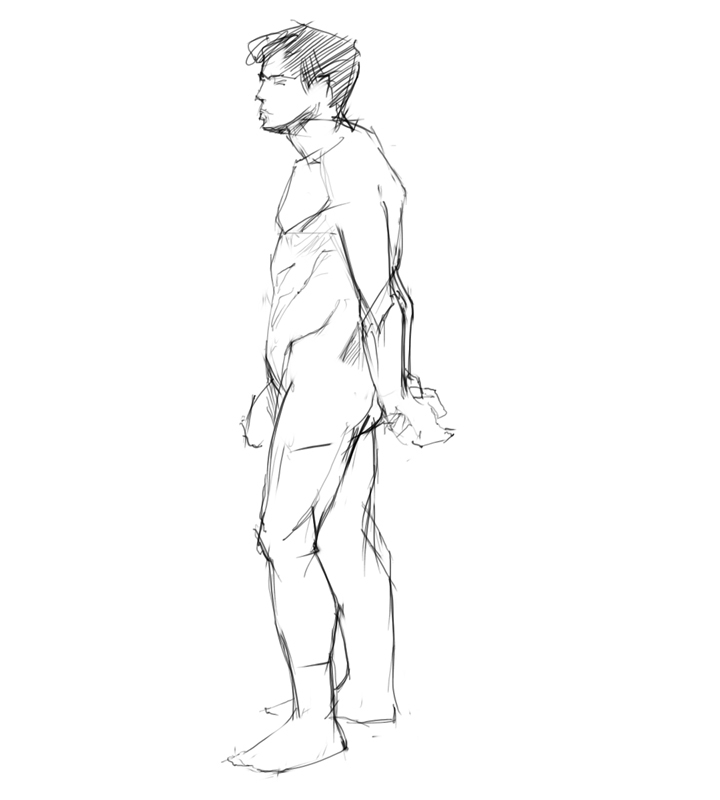 I will mostly work digitally as inspired by Daryl Mandryk’s digital figure paintings from a few years ago. It is also very convenient to only bring my Cintiq Companion. Gesture warm-ups done in Bamboo Paper (not posted this time), long-pose drawing in Sketchbook, long-pose painting in Photoshop.